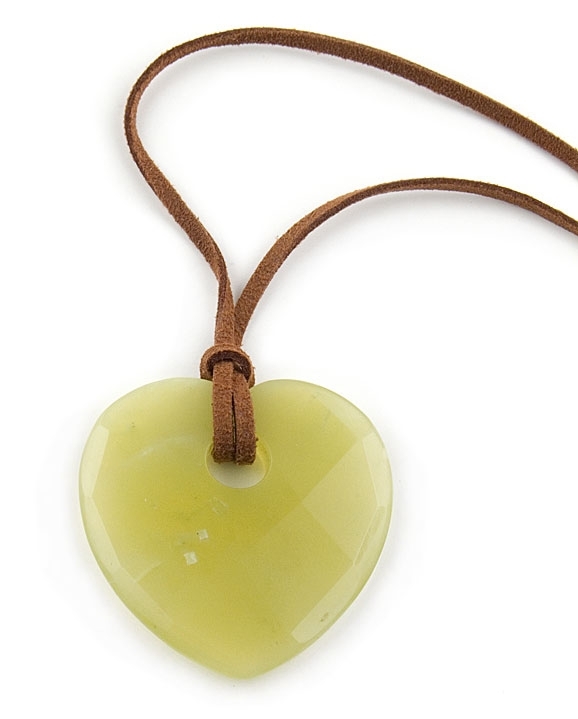 Jade heart necklace by Chou. 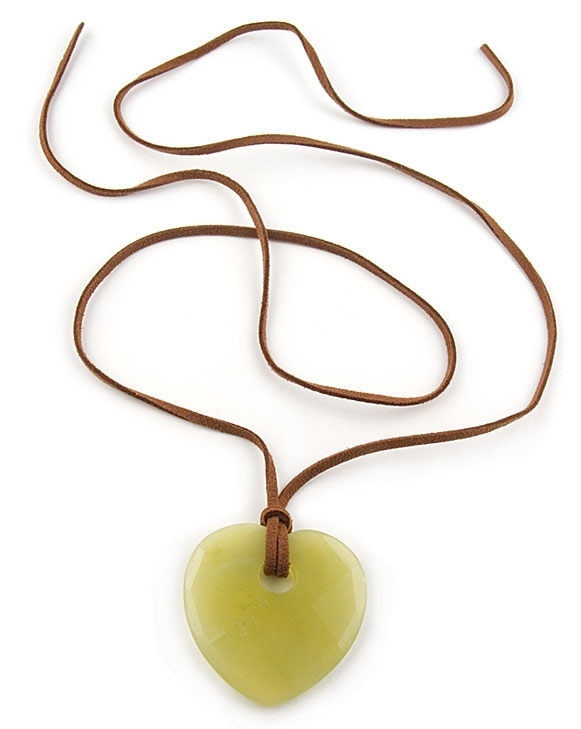 This striking gemstone necklace features a 51mm faceted green jade heart and comes with a brown suede cord. Necklace measures 108cm / 42.5 " in length and can be worn long or short. A unique gemstone necklace easy to wear all day and can also make a wonderful gift. Available exclusively in the UK from Farfallina.net Jewellery Boutique.